On every first Thursday of the month, Grundtvigs church hosts a concert dedicated to music composed for the organ. This month’s event was a performance by Mads Høck who played various sonatas in German – romantic style from the mid-1800s. Although the concert lasted little over an hour, the program ensured an eventful evening. The music of Felix Mendelssohn-Bartholdy, Johan PE Hartmann and August Gottfried Ritter was heard. The main theme of the program was the sonata form. The sonata is essentially a type of musical design. It is the way the main musical idea is presented, explored and developed. The highlight of the evening was without a doubt the sonata by the Danish composer Hartmann. In it, the listener got to experience the spectacular effectiveness of the form. First, a theme in G minor was introduced. Then, the theme was transformed and reshaped into various imaginative ways. What followed was the recapitulation of the main theme. For the finale, the themes and motifs taken from the development section were fused into one truly powerful passage. 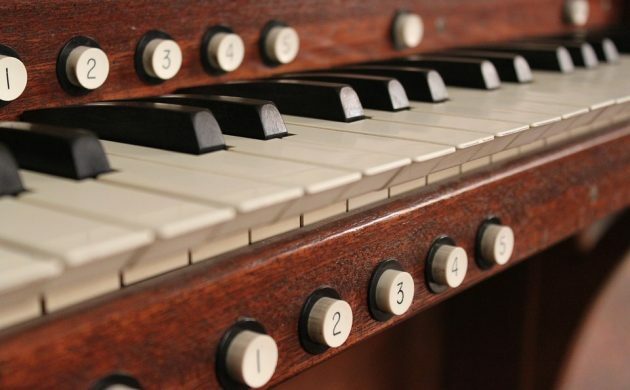 If you think that organ music is not quite for you, or that it is perhaps a little bit boring, think again! The organ guarantees a magnificently rich palette of tones. Also, bearing in mind that no amplifiers are used, the sheer volume the instrument generates is simply amazing. The power of sound alone is a good reason to pay a visit. And the church itself offers a calm, atmospheric environment that is perfect for musical contemplation. Learn more about the monthly concerts at the churches’ website. The next concert will take place on May 3 and will focus on Bach’s music.